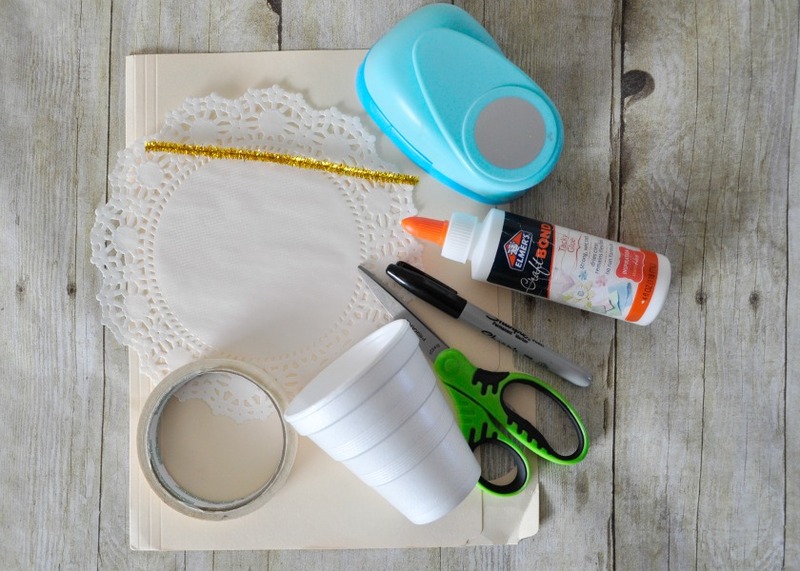 Are you ready for another simple angel craft? I’ve had this fun craft on my list for a few months now after making our colorful owls and I’m super excited with how it turned out. 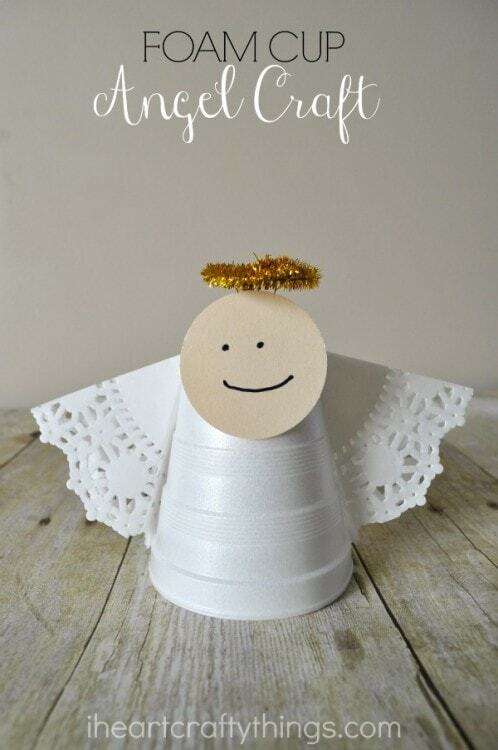 It’s a simple and classic angel craft that is perfect for Christmas time, and kids of all ages will love making it. 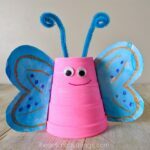 I have had a few negative comments regarding using foam cups for crafting. 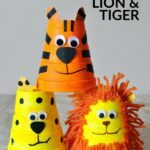 I wanted to mention that when the time comes for us to discard of crafts using foam cups we always recycle the cups using our city’s municipal recycling program. 1. 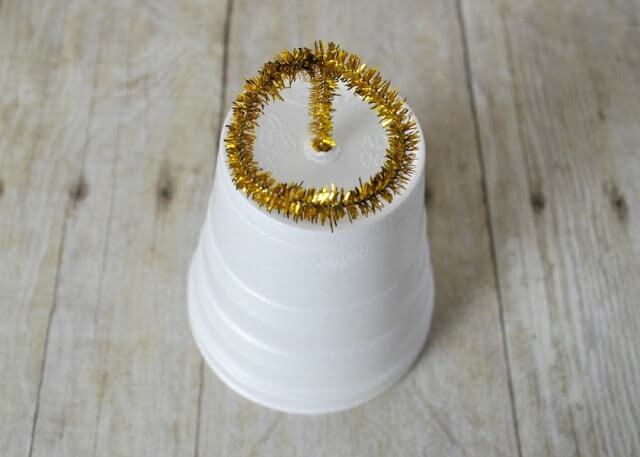 Start by making a circle loop at the end of your gold shimmer stick. Twist the end of the loop around the rest of the shimmer stick to secure the loop and make an angel halo. Poke a small hole in the center of the bottom of your foam cup and poke your halo down inside it. Use a strip of tape to secure the halo in place inside the foam cup if needed. 2. 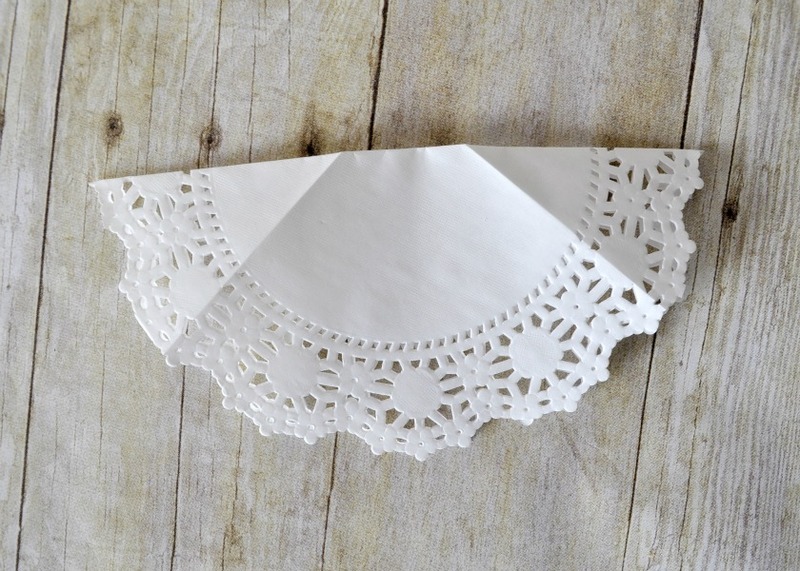 Fold your round doily in half. Open it back up, add a line of glue down the center and close it back up so it’s glued shut. Fold back the two ends of the doily half, making angel wings. Add tacky glue to the center section of the doily and glue it to the back of your foam cup. The folded sections should hang off the side of the cup acting as wings for your angel. 3. Use your 2-inch circle punch to cut out a circle out of your manila folder. Use your black marker to draw eyes and a mouth on your circle. 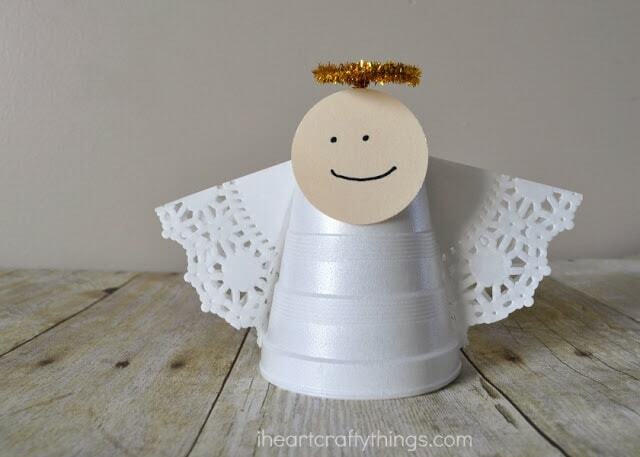 Either use tape or tacky glue to attach the angel face onto the front of the foam cup. 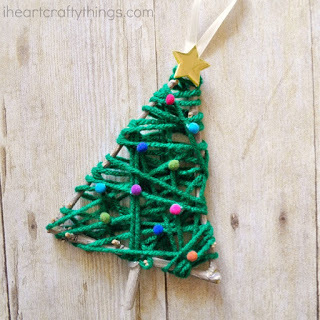 It is such a simple, pretty decoration to display for Christmas. We kept our angel simple by not added hair, but you could easily draw hair on with a marker, or glue yarn around the face for hair. You know the saying, great minds think alike? 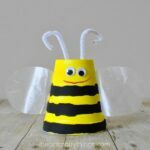 We noticed The Resourceful Mama also made an angel craft similar to this recently. 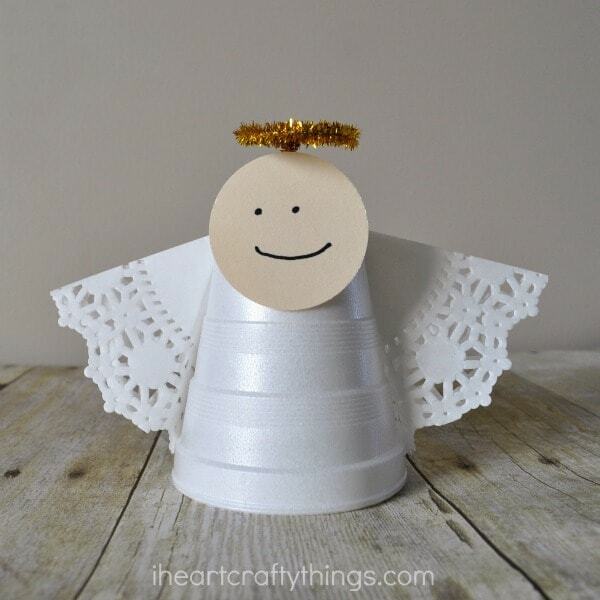 Check out her Styrofoam Cup Angel Craft here.